One can easily export MOBI to PDF file document in a very simple and reliable way with the help of this Mobipocket converter. It is the tool that convert MOBI to PDF file document in just a few clicks. Moreover, after converting, the PDF file a user will get are usually searchable document. It is the utility that is easily supported by Microsoft Windows 10 and all below versions. 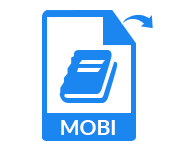 MOBI Converter to EPUB is the utility that is specially designed to export MOBI to EPUB file format to have a more readable ebook file. One just needs to upload the MOBI file and select the EPUB format, it will automatically convert the file using this MOBI to EPUB file converter. Apart for all these, the software provides a user-friendly graphical user interface to have a simple and easy conversion. After exporting Kindle MOBI to EPUB or PDF file format, the MOBI Converter Application will maintain the integrity, layout, and formatting of data and try to extract all information maintained in it such preserve internal links in converted file also. Moreover, it also retains all other information such as author name, publisher, subject, source, rights ASIN, etc., enclosed with a MOBI file document. Mobipocket converter is designed in such a way that it does not require any additional installation and training to run on a system. It is developed with few amount of technicalities, therefore, it is a standalone application. 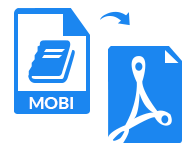 Other than this, MOBI to PDF ebook converter is an application that has no file size limitation and display all pages of MOBI file without any data loss. Step 4 In last, select the location of your choice to save MOBI to PDF & EPUB on your local machine. Can I export a corrupted MOBI file to EPUB? No, the MOBI Converter will not export a corrupted MOBI file to EPUB or PDF. The tool is designed to convert only healthy MOBI file properly. Does this software allow searching in converted PDF file document? Yes, Mobipocket converter to PDF software provides an option to search any data maintained in a converted PDF file to have an easy access to data. Can I run MOBI file Exporter on Mac OS also? No, you are not allowed to run this tool on Mac OS. The tool is completely Windows OS oriented and can easily run any available Windows versions. What all are the file formats that are supported by this MOBI Converter? With the help of MOBI file converter, one can easily convert MOBI file to two different file formats i.e. EPUB and PDF which provides a document in a better readable form. 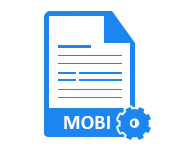 What is the maximum MOBI file size supported by MOBI Converter software? There is no maximum file size limitation for MOBI file conversion. A user can easily export any size MOBI file to PDF & EPUB without any inconvenience. Is MOBI File Exporter is completely free from all kind of viruses? Yes, Mobipocket Converter is completely free from all kind of viruses and fully safe and secure to be used on Windows platform. Is there any loss of data after converting MOBI file to PDF file document? No, there is no loss in data even after conversion. It maintains data integrity. Moreover, it also keeps layout or formatting of the document intact with all its details. 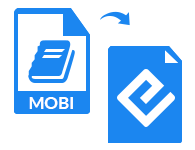 "The MOBI Converter software is an amazing utility developed to export any size MOBI file to EPUB or PDF file without any restriction. I must say that it is truly an advance level tool and that export all MOBI file in just a few clicks and I am going to suggest this tool to my friends also. Thanks to the developer for developing such a great application." "The feature that I liked the most about this tool, it provides users a searchable PDF document after conversion. All the data converted are in original format without loss of data. Now, it becomes very easy for me to use this converted MOBI file anywhere I want and in better readable form. Thanks to Mobipocket Converter for helping me in such a great way."